Hello everyone! 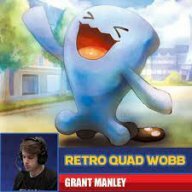 This is Grant Manley here once again. It’s good to be bringing you all another piece so soon. With Dallas Regionals right around the corner, I’ve been giving Expanded some serious attention lately. There are so many different decks that can reasonably be called competitive, yet it seems that everyone on PTCGO is either on Exodia (Delinquent + Peeking Red Card) or still playing Rotom. One card that has gotten massive amounts of flash hype (sudden attention right before an event) in the past week or two is Magikarp and Wailord-GX. The crazy thing about this new Promo card is that it has 300 HP and gives up three Prize cards when it’s KO’d! Unlike Wailord-EX before it, this high-HP monster is looking to fill a more offensive role rather than a defensive one. At first glance, the Energy requirements seem too restrictive for Wailord to ever attack. However, its perfect partner is also the most obvious one in the Expanded format, which is of course Blastoise. This absolute unit seems borderline broken in Expanded. It’s extremely difficult to KO and it can OHKO almost anything so long as it has a Choice Band. The Bench spread attack can completely eliminate many decks from even playing the game. Merely the possibility of it being played in Dallas already has many players teching in Mr. Mime to protect themselves. 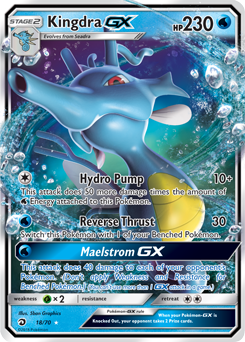 Against some matchups like Zoroark-GX and Vespiquen, or basically any deck that focuses on Evolutions, I consider Towering Splash GX to be a better version of Exodia. Sure, it’s a huge combo that requires a bit of luck to pull off turn one; but if you do, it slows the opponent down past the point of recovering. However, it’s not as “all-in” as Exodia, as you still have this tank swinging for 180-210 every turn even if you whiff the early GX attack. There isn’t anything real crazy about the list for this deck. In fact, it’s basically the same as previous Blastoise lists, but with Magikarp & Wailord as the main attacker. I think this deck is absolutely insane. Since Magikarp & Wailord cap out at 180 damage, it’s necessary to play at least two Choice Band to allow it to KO Pokemon like Zoroark and Buzzwole-GX. Three Choice Band is debatable. It’s useless in some matchups, but in the matchups where Magikarp & Wailord need Choice Band, they need Choice Band badly. It is also a burnable card for your Archie’s setup. Finally, Choice Band makes Tapu Lele-GX quite a formidable attacker. Some will cry foul over the lack of Fisherman or Keldeo-EX, so add those instead of the third Band if you can’t live without them. I think Fisherman is overkill because 23 Energy is more than enough. Keldeo is only slightly better at attacking than Tapu Lele but it doesn’t have Wonder Tag. Rush In is nice but I don’t see the value in it. Kingdra-GX may seem unnecessary now that Magikarp & Wailord take the place of a Zoroark counter, but Kingdra now fills the necessary role of a mirror counter. Don’t settle for two-shotting opposing Magikarp & Wailord when Kingdra can swoop in and take a OHKO for six Energy. Of course, Kingdra can also be helpful in case any high-HP Pokemon manage to set up past Towering Splash GX such as Gardevoir-GX or Sceptile-GX. While those Pokemon are quite rare in Expanded, they can cause serious issues for Magikarp & Wailord. Kingdra can also be a suitable attacker after your Magikarp & Wailord go down. If your opponent manages to get through two Magikarp & Wailord, they win. However, if they get through a Magikarp & Wailord and a Kingdra (which takes almost as much effort), they don’t immediately win.